Suits are a good investment piece for every man. No matter if a person will be attending a job interview, a fundraiser or a wedding, they will find the perfect style of suit for the occasion. Actually, we can say that a wardrobe of man cannot be complete without a suit because it is the best piece of attire which defines one's reputation, style and character. Single Breasted: this suit has one set of buttons and button holes; however, it can be either two buttoned or three buttoned. But the one button style is for dinner jackets or you can also wear them with a waistcoat popularly called as the British style suit. Double Breasted: this type of suit has two front overlapping across the body. It is traditionally ventless which means it has no flaps at the back. Double Breasted suit is also known as the Italian style suit which is mostly worn by tall men for a sophisticated look. It has four-six button options. Lounge Suits: they come under the category of formal suit which can be worn for an ordinary day wear. It can be worn with or without a tie (medium or light colors preferably). They look best in single breasted but if you want a formal look, then go for three buttons. Dinner Suits: they go perfect with a black-tie attire or with a bow tie. Satin or velvet fabrics will pull up this look in a classy way. Try in dark colors with a slim or traditional fit. Business Suits: next type of suit is business suits which comes with a formal cut, sharp fit and sober colors. 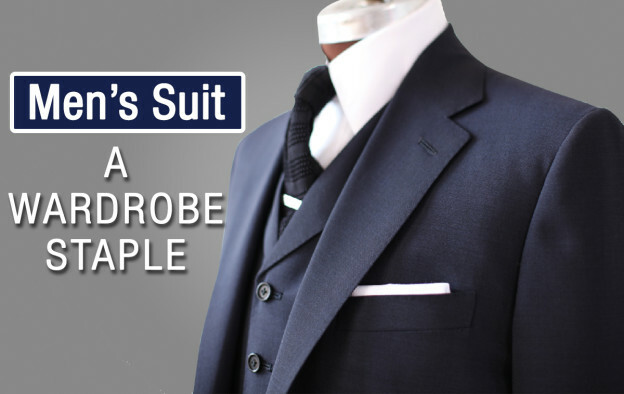 They are quite different from lounge suits – they are more formal and conservative. Single and double breasted both go well. Wedding Suits: these are coming in trend really fast. Fabrics are jacquard, sheen or velveteen meant for luxury wear. This trend is famous of single or two buttons with slim fit. You can experiment them with pockets and labels. The pinstripe suit: men with the broader shape opt for this kind of suit. You can stick to tonal-colored stripes or subtle that are thin for a standout business suit. Conclusion: Now you can select and purchase a classic and a timeless style of suit according to the occasion.